We have recently constructed at our Stirling site a 6 trap “Compak” style shooting layout, and an additional 3-pad “DTL” style layout. 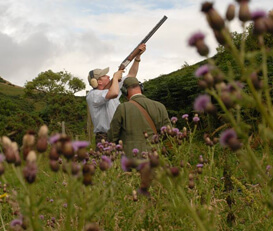 Aimed solidly at those who wish to learn, or improve their shooting, or just want to enjoy themselves, but are perhaps over-awed by the larger shooting grounds our site is a small-scale and very friendly operation. 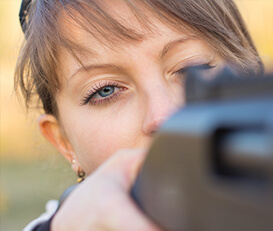 In addition to the opportunity for practise (very important during the close season for game we feel) we can also provide one-to-one tuition for those who are perhaps struggling with a specific type of target, or who just wish to iron out any faults or bad habits (we all have them!). 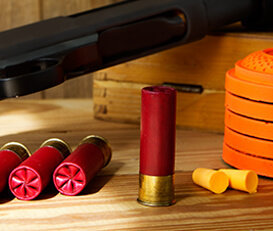 Being such a small layout it offers the ideal chance for novices to try out clay target shooting without the “pressure” of attending a busy clay ground. 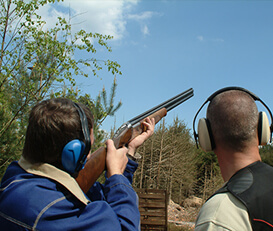 Our friendly instructors are very capable of putting people at ease and introducing them to the sport at a pace that suits the individual. Please contact us through the enquiries form for details.